Whitebird school was a mile west of Cardin. 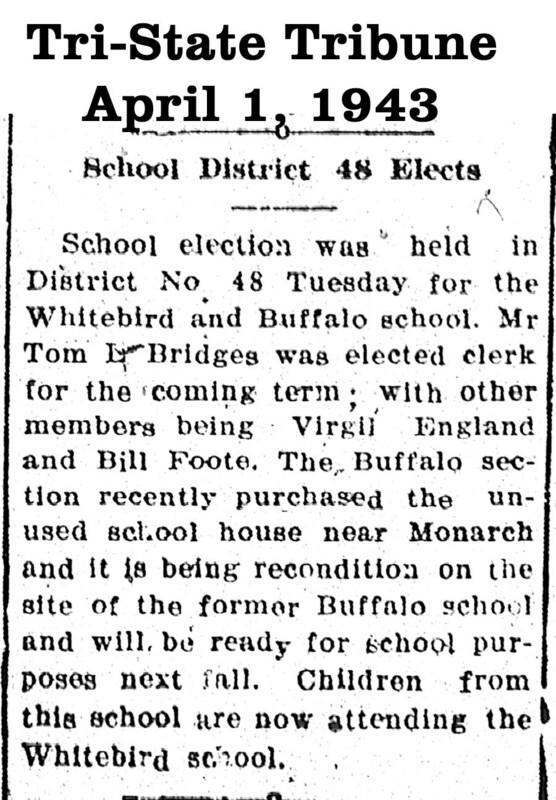 Buffalo School was a mile west and a mile south of Whitebird. Monarch School was on the State Line west of Treece. Both schools are long gone.